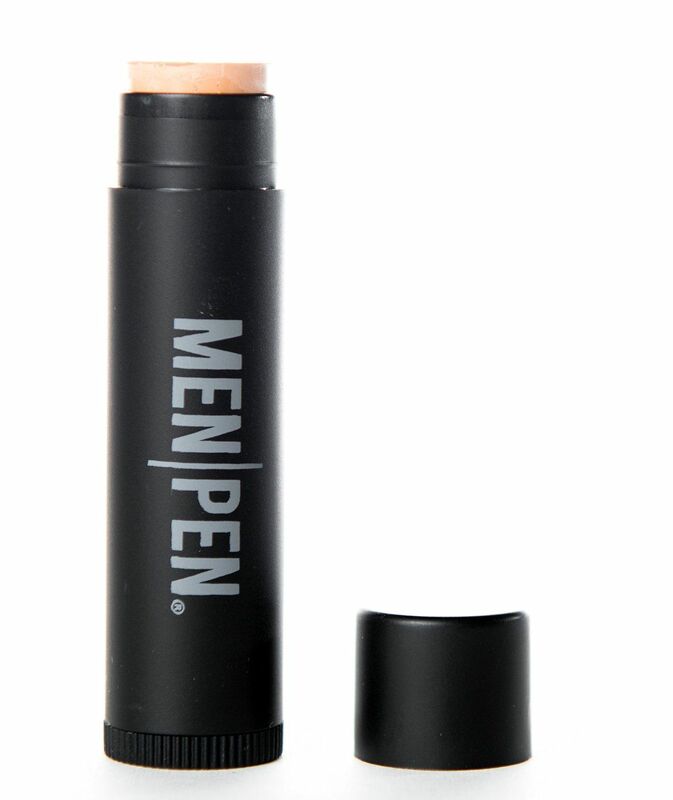 The Men Pen is made of a makeup foundation type compound that is lightly applied to the face on top of acne, razor burn, or other blemishes. Each stick contains SPF 18 therefore we recommend light use if wearing it in the sun. ​Easily can be dropped into your pocket while at the bar or at work. Stick Ingredients: - Octyl Palmitate, Caprylic / Capric Triglyceride, Cetyl Dimethicone, Silica, Beeswax, (Cera Alba), Octyl Methoxycinnamate, Nylon-12, Candelilla (Euphorbia Cerifera) Wax, Octyl Salicylate, Octyl Dodecanol, Ozokerite, Benzophenone -3, Shea Butter (Butyrosperum Parlii0, Tqcopherol Acetat, Ascorbyl Palmitate, Retinyl Palmitate, +/- (May Contain ): Titanium Dioxide (77891), Iron Oxides (77941, 77499, 77492) Made in the U.S.A.